As a chef and recipe developer, I’d always assumed my kids would be adventurous eaters by the time they could chew. Well, I couldn’t have been more wrong! I’ve made sure they’ve been healthy eaters, and every so often I’ve been surprised with an interest in things like sushi or eggplant, but for the most part, it’s been years of culinary pickiness for my two boys. Step 1: Add the wine, oil, orange juice, lime juice, garlic, jalapeño, cinnamon, and cilantro leaves to a small mixing bowl. Gently whisk until everything is nicely combined. Set aside. Step 2: Trim any excess fat off the steak and then place it in a heavy-duty Ziploc bag. 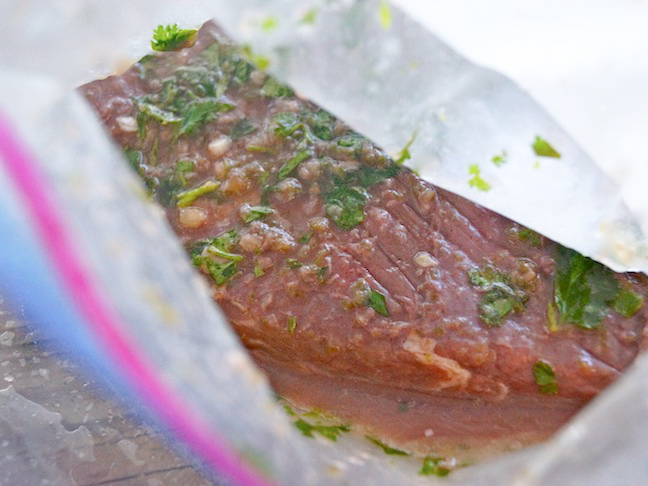 Pour the marinade into the bag, and use your hands to move the steak around until it's well coated. Step 3: Remove any air from the bag as you seal it, and then put it in a second Ziploc bag and seal that. 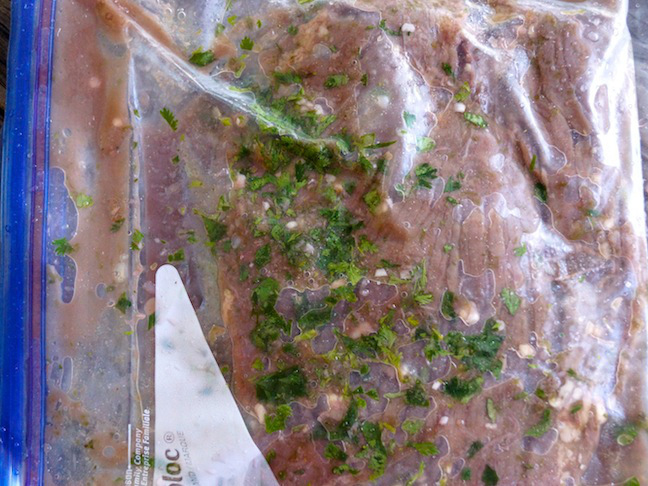 Place the marinating steak in the refrigerator for at least 8 hours, and ideally 12. Step 4: Preheat an outdoor or stove-top grill with high heat. Step 5: Remove the steak from the bag, letting any excess marinade drip off. Place it on a clean, dry surface, sprinkle both sides with salt and pepper, and drizzle lightly with olive oil. Step 6: Grill the steak for about 6 minutes per side, turning once, until medium-rare. (I love it cooked this way, but of course you should cook it just how you like it.) 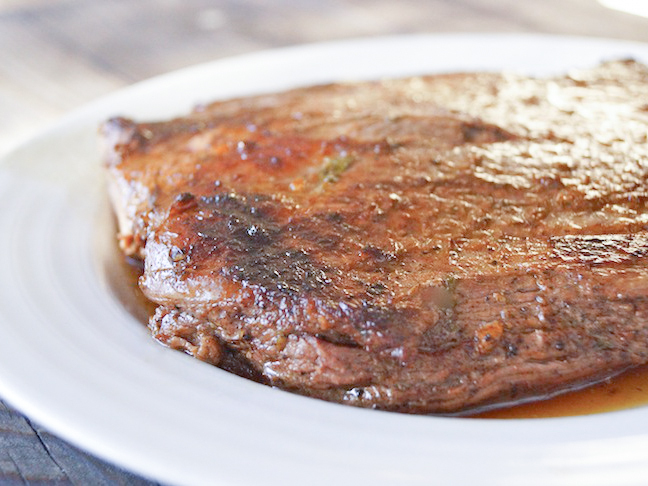 Remove the steak and place it on a plate to rest for at least 10 minutes to let the juices settle. Step 7: Thinly slice the steak across the grain on a diagonal, or use your hands to shred it into strips. (For the latter, you'll have to let it cool a while, so it's not too hot to touch.) 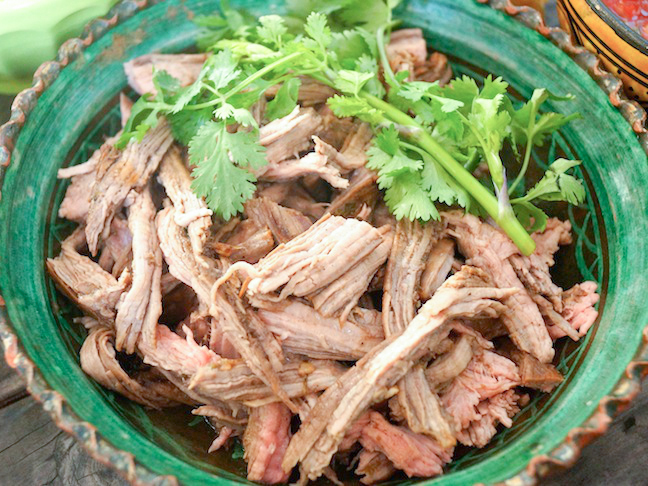 Add all of the prepared steak to a serving bowl and set aside. Step 8: To make the taco shells, coat the bottom of a large sauté pan with olive oil and place it over medium-high heat. 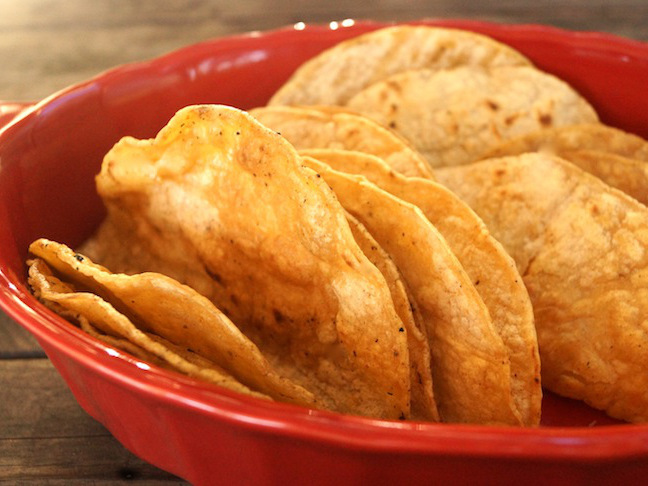 Add as many of the tortillas as you can easily fit. Sauté each side for a minute or so, until they are crisp. Use kitchen tongs or a fork to fold each one in half. 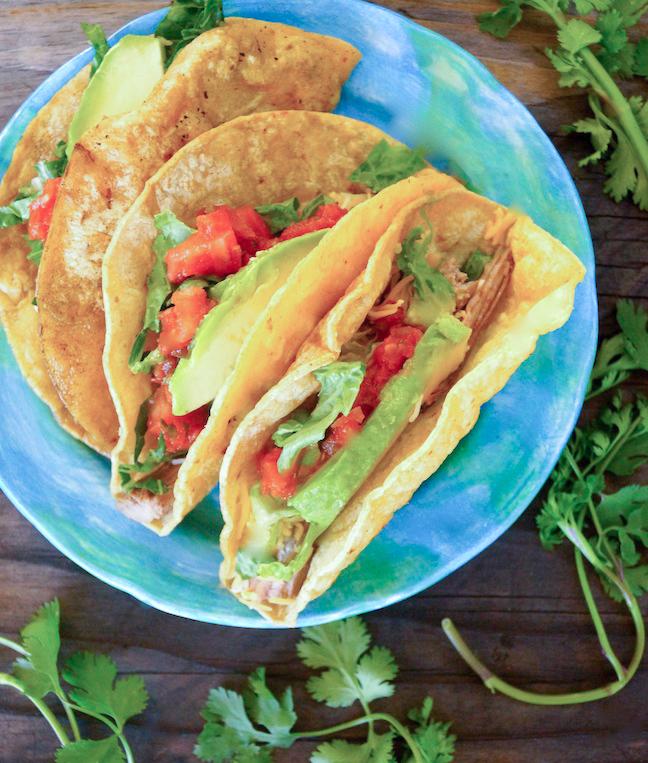 Repeat until all of the tortillas are cooked. As you remove them from the pan, place them on a paper towel lined plate to soak up any excess oil. Then add them to a serving platter. Step 9: Add all of the remaining ingredients to small bowls with serving utensils. 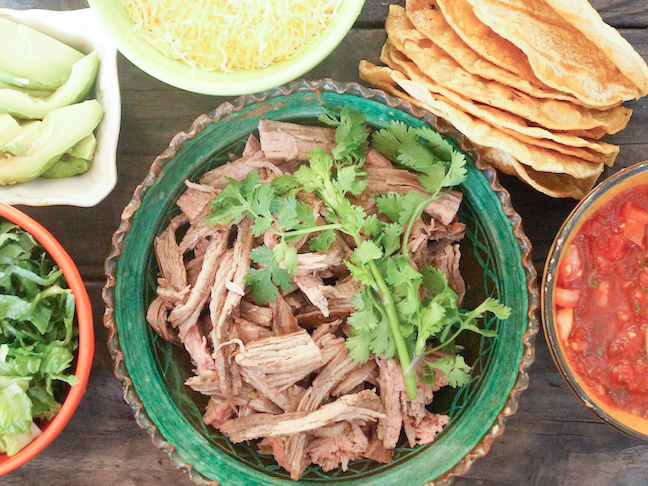 Place them, along with the steak, on the table and set up a do-it-yourself taco bar. The whole family will love this!